You can enjoy choosing from 35 official EMI videos in the video playlist above, which includes the band's best hits such as Run To The Hills, The Trooper and Can I Play With Madness, to name but a few. The English heavy metal band formed in 1975 and have had many line-up changes since then. The band has released 37 albums, including live and compilation releases and EPs. The majority of the band's studio albums have reached the top ten here in the UK, with the 2010 studio album The Final Frontier topping the charts in numerous countries. 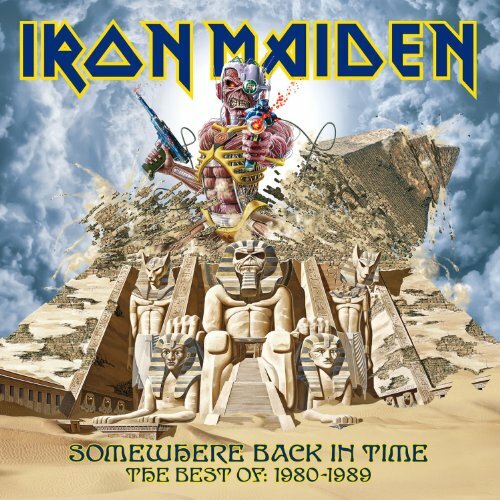 Iron Maiden's most successful period during the 1980s was in 1988 and 1989, with all four singles from the chart-topping Seventh Son of a Seventh Son album reaching the UK top ten. This was the heavy metal band's sixth single release, and the first Top Ten single for the band in the UK, reaching #7 in 1982. 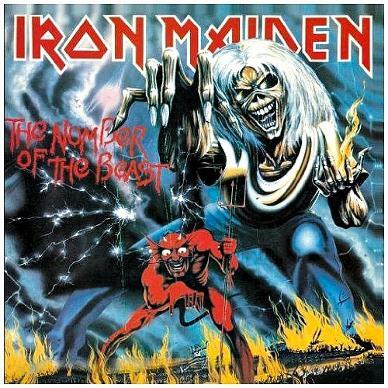 It was also the first single to feature Bruce Dickinson as lead singer, and features on Iron Maiden's third studio album The Number Of The Beast. The song's lyrics refer to the violence suffered by the Native Americans during the 19th century. The band formed in East London in 1975 and have also been popular in Finland, where, during the noughties they had a run of seven top ten hit singles. That run is similar to a period at the end of the eighties. 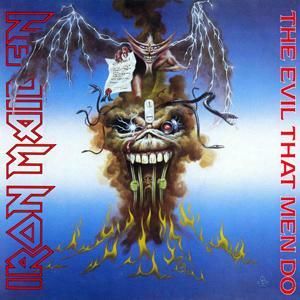 In the UK between 1988-90, Iron Maiden achieved success with seven top ten singles from the albums Seventh Son Of A Seventh Son and No Prayer For The Dying. 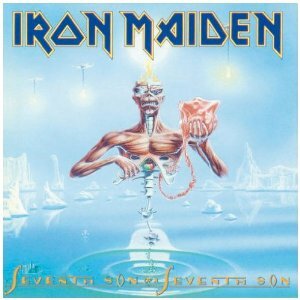 This was released as the lead single from the album Seventh Son Of A Seventh Son, and reached #3 in the UK and also #4 on the U.S. Rock Charts. Released in March 1988, the song was the band's sixteenth single release overall. As well as the standard 7" vinyl, the track was available in many formats including 3" CD, cassette, shaped picture disc and 12" maxi single. 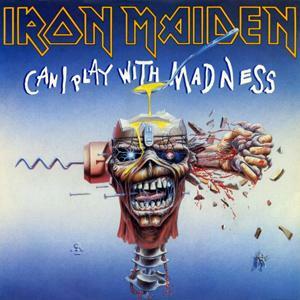 Released on 1st August 1988 (13th August in the U.S.) this follow-up to Can I Play With Madness entered the British Singles Chart at #6 and peaked at #5 the following week. The song features a great guitar solo by Adrian Smith and the B-side features the tracks Prowler '88 and Charlotte The Harlot '88, the latter featuring another solo by Smith, although Dave Murray precedes him. 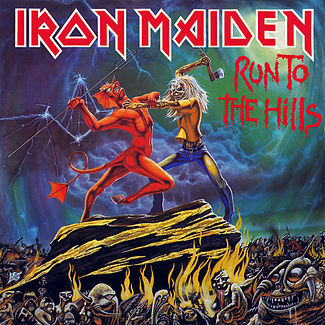 The original version of this track was recorded by lead singer Bruce Dickinson for the horror movie A Nightmare On Elm Street 5: The Dream Child and also his solo album Tattooed Millionaire. However, it was not included on the album after Maiden's bassist convinced him that it would sound better if the band recorded it instead. 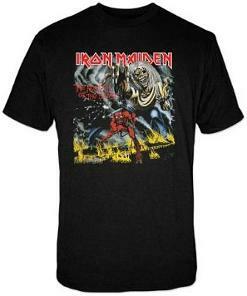 Maiden released the song as the second single from the album No Prayer For The Dying, and it sounds much more energetic than Dickinson's solo effort. The song was banned by the BBC, and, inevitably, shot to No.1.